This story started at a barn dance in rural South Dakota in 1952, between Wessington and Zell. This is where the bold Robert (Bob) Stephens tapped another fellow on the shoulder and stepped in to dance with Miss Willowdean Fallon. This was the first of many dances. A long history brought them to this point in their lives. Robert's folks, Earl & Ella Mae, farmed near Piedmont and then Kadoka for years. Ella Mae took a teaching job in Wessington, so the family moved and started farming there. In 1951, Robert returned home from serving as a cook in the Korean war. Willowdean grew up in the Burdette/Zell area with her brother Wilbert, who farmed with their folks, Jim & Marian (Olson) Fallon. Willowdean graduated from Notre Dame Jr Academy in Mitchell SD in 1951. Wilbur took over the family farm while Willowdean inherited a quarter of ground from her folks. Bob, a strapping young man with a love for farming, was enamored by a pretty gal named Willowdean. Willowdean & Robert were wed in 1952. Robert then attended South Dakota State University in Brookings SD for two years to learn more about agriculture; however, the need for more income led him back to work on the farm. 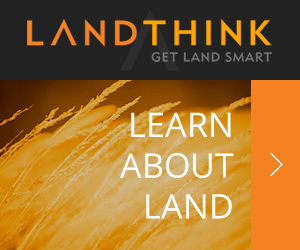 They lived and farmed this land until ultimately purchasing it in 1960 from William & Helen Swaney. That same year, with five children, they moved to Rapid City. The decision was difficult, but the need to move to the big city to find support services for their oldest child became a priority. Robert was then able to gain a job at the United States Postal Service until retirement. Robert & Willowdean with their now six children would make their way back to visit numerous family members and enjoy a good pheasant hunt on the farm quite often through these years. Stephen's maintained a good relationship with their long-term tenant of 40 plus years; furthermore, this land has only seen two tenants since 1960 due to quality all the way around. They have since improved the land by removing the old acreage site, trees, outbuildings and fencing, providing for a turn-key farm today. With over 435 acres of Class II soils ranked from 81% to 91%, this contiguous farm is located in the honey hole of Hand County, nine miles straight north of Vayland. Laying nearly level with 0-6% slopes, there are 651.9 cropland acres and 499 base acres. This farm is currently enrolled in ARC-CO for corn & soybeans and PLC for wheat & sunflowers with a 114.62 acre corn base with 113bu yield, a 221.21 acre soybean base with 34bu yield, a 150.3 acre wheat base with 48bu yield and a 12.87 acre sunflower base with 1127 yield. A waterfowl management rights easement covers the land with wetlands located throughout, as well as Little Turtle Creek flowing through the southern portion of this farm. Once the easement determined the map for protected easements one could get a CWD and potentially drain into the different drainage ditches along with Turtle Creek. Waterfowl, pheasant and whitetail deer hunting offer unique South Dakota recreational experiences. Easily access this land on the west from 191st St / 368 Ave or from the east on 190th St / 369 Ave, north east of Miller. In conclusion, Bob & Willowdean continued to love and kept dancing through the seasons of life. It says in Proverbs that whoever sows bountifully will also reap bountifully. 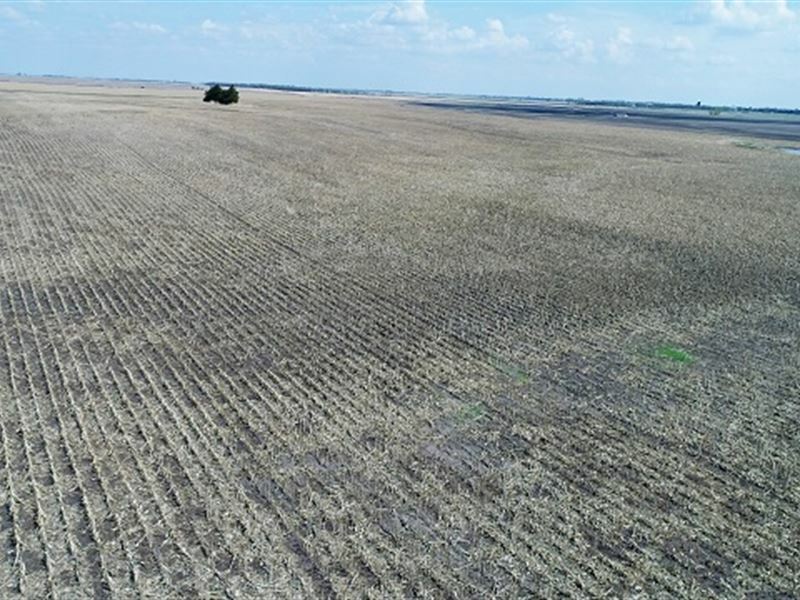 If you have been looking for a quality farm land investment, take Advantage of this generous offering in Hand County, South Dakota, from the legacy of Bob and Willowdean. Closing and landlord possession will be on or before September 20, 2018 as this land is sold subject to 2018 leases expiring December 31, 2018. Upon acceptance of the sale by the seller, a non-refundable earnest money deposit equal to 10% of the sale price due at the conclusion of the auction. If buyer is not immediately available at the conclusion of the auction, the purchase agreement and 10% non-refundable earnest money deposit must be complete within 24 hours from the close of the auction. The balance will be due at closing. Merchantable title will be conveyed and title insurance cost will be divided 50-50 between the buyer and seller. Closing costs are to be split 50-50 buyer and seller. The 2017 real estate taxes due in 2018 will be paid by the seller. All of the 2018 RE taxes due and payable in 2019 will be paid 50/50 between buyer & seller, based on 2017 taxes, as a credit at close. The seller does not warranty or guarantee that existing fences lie on the true boundary, and any new fencing will be the responsibility of the purchaser pursuant to SD statutes. A survey will not be provided and will be the purchasers responsibility if needed or requested. FSA yields, bases, payments and other information is estimated and not guaranteed and are subject to County Committee Approval. Information contained herein is deemed to be correct but is not guaranteed. Sold subject to existing easements, restrictions, reservations or highways of record, if any, as well as any or all Hand County Zoning Ordinances. The RE licensees in this transaction stipulate that they are acting as agents for the seller. Announcements made day of sale take precedence over any written materials. Said property is sold as is. This is a cash sale. This sale is subject to a 5% buyer's premium. This sale is subject to seller confirmation. Not responsible for accidents.